VIENNA: It’s not an uncommon fate for a pioneering scientist: languishing unrecognised in his time before dying in obscurity. But as his 200th birthday approaches, the life-saving work of a Hungarian obstetrician is finally getting its due. 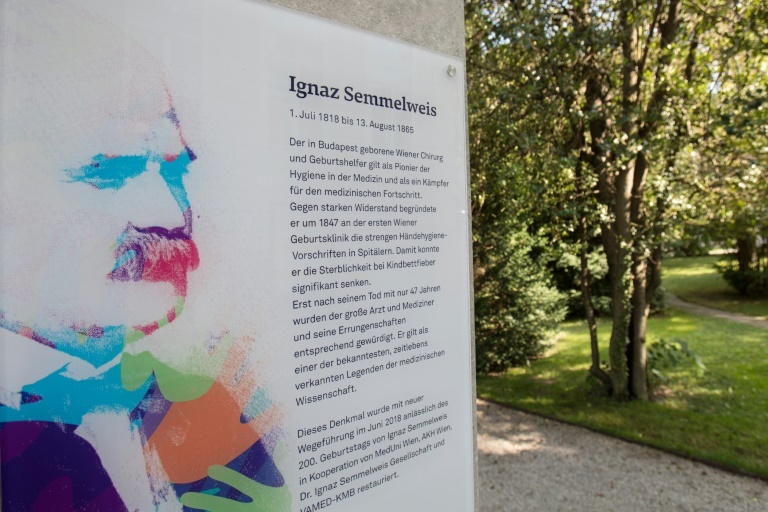 Decades before Louis Pasteur won widespread acceptance for the germ theory of disease, Ignac Semmelweis was battling his peers to accept what is today medical orthodoxy — doctors should thoroughly disinfect their hands before treating patients. Born on July 1 1818, Semmelweis joined the obstetrics department of Vienna’s general hospital in 1846 and was immediately struck by the extremely high maternal mortality rate in the wing where student doctors trained: it stood at more than 10 percent, at times going up to almost 40 percent. By contrast, in the neighbouring wing where midwives trained, the rate stayed under the contemporary average of three percent. “This disparity troubled Semmelweis enormously and he started a thorough epidemiological study,” says Bernhard Kuenburg, president of Vienna’s Semmelweis Foundation. In 1847, the penny dropped when a colleague died of septicaemia after carrying out an autopsy: Semmelweis surmised that dead bodies must hold invisible but potentially deadly “particles”. “At the time, medical students went directly from an autopsy to assist with a labour without disinfecting their hands,” Kuenburg told AFP. With soap not being enough to fix the problem, Semmelweis imposed a more rigorous regime of hand-washing for five minutes with a harsh chlorinated lime solution. With this “very simple method” Semmelweis slashed the mortality rate “to almost zero,” Kuenburg says. But instead of plaudits, Semmelweis suffered the wrath of the grandees of Vienna’s medical fraternity and in 1849 his contract was not renewed. “The self-estimation of the doctors was very high back at this time. Of course they were offended because they didn’t like the idea that they were guilty of causing this terrible mortality rate,” Kuenburg says. Moreover, it would still be a quarter of a century before Pasteur was finally able to prove the existence of “microbes”. Other doctors demanded evidence, according to Kuenburg. And Semmelweis’s fiery disposition and lack of tact didn’t help — he did not shrink from calling colleagues “killers”. Towards the end of his life his mental health deteriorated and he died in an asylum in 1865, at the age of 47. At the end of the 19th Century Semmelweis’s reputation began to be rehabilitated after the discoveries of Pasteur, Robert Koch and Alexandre Yersin bore out his theories. In 1924 the French writer Louis-Ferdinand Celine dedicated a medical thesis to him and hailed him as a “genius”. Today he is considered the father of modern theories of hospital hygiene and sterilisation. But even though disinfecting hands is accepted as common sense for medical personnel, the practice still isn’t as systematic as it should be, according to Professor Didier Pittet, infection control expert at the World Health Organization (WHO). Worldwide, the practice is only adhered to “in 50 percent of cases on average, even though it can prevent 50 to 70 percent of hospital infections,” he told AFP. Some 3.2 million people are affected annually by hospital-acquired infections within the EU, resulting in 100 deaths every day. Pittet estimates the global figure for such deaths to be between five and eight million year Hungary. “Disinfecting the hands with an alcohol solution is cheap and simple and has an immediate impact on infection rates,” including for multi-resistant organisms, Pittet says. But despite this, “it’s an act which isn’t taken seriously enough, notably by doctors themselves” Pittet says, adding that some seem to think worrying about sterilising their hands is somehow beneath them. However, the WHO’s “Clean Care is Safer Care” campaign, launched together with 19,000 hospitals worldwide in order to raise awareness of the importance of hand sterilisation, is starting to pay off. Following the lead of a programme piloted by Pittet in Swiss hospitals in the 1990s, rates of hand disinfection in Australia and certain Asian healthcare facilities are at almost 85 percent. “Twenty years ago the rate of hand disinfection was only around 20 percent. Now it’s becoming one of the sexiest topics in medical literature,” says Pittet.